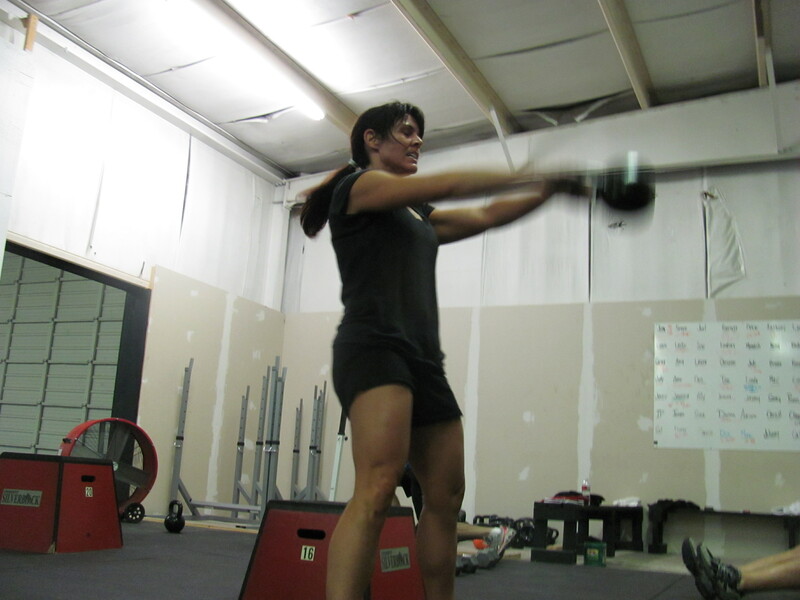 Kat dug in and really took on the kettlebell this morning, Very Silverback. Garret, Brad and Tim all decided that 30 inches would be more fun. Thanks Linda! Me too 🙂 I think the next time I’ll be there is Thurs evening…have school stuff (band and football) with Gabriel tonight and tomorrow night. I’m with you Laura, very tired and sore. I felt like a giant tooth ache from my navel up to my chin. Kinda glad I couldn’t get the 95# bar yesterday or my legs would have been just as bad. Today, I was struggling mentally. If it wasn’t for the boy I probably would have stayed at home and crawled into bed. Glad to have him back for the next couple of months until Lacrosse season gets going. 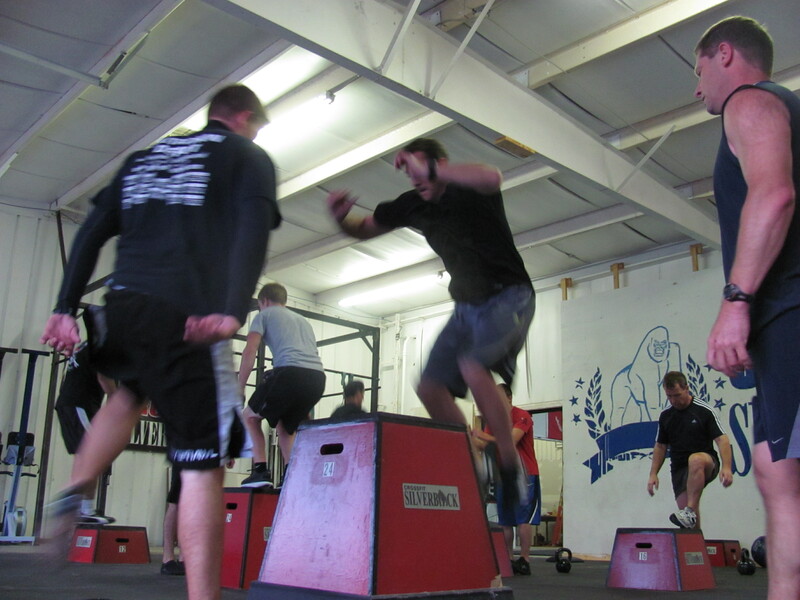 WOD: 55# and 30″ box with a time of 16:33. That 30″ box was a monster towards the end. Where’s all the posts everybody? Pistols were fun, we need to practice them more often! I guess it just FELT like 26:23 last night! Val you rocked this one girlfriend……….good luck Saturday! awww, thanks Casey!!! I felt great… its amazing what alittle sleep can do. 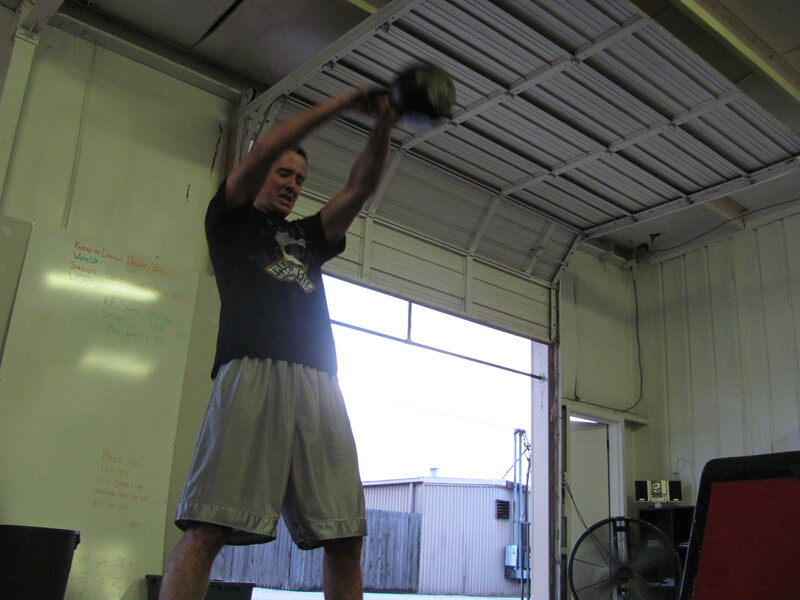 35lb KB and decided to challenge myself with the 24in box. Lost a bit of skin to the box but managed a time of 17:18. I am happy with it!!! 45 lb, 30 in box.